GrubHub plunged more than 6% on Friday after Uber’s S1 filing said it has an outsized opportunity in the food-delivery space. GrubHub dropped more than 6% Friday after Uber’s S1 filing indicated the ride-sharing company was continuing its aggressive expansion into the food-delivery business through its subsidiary UberEats. 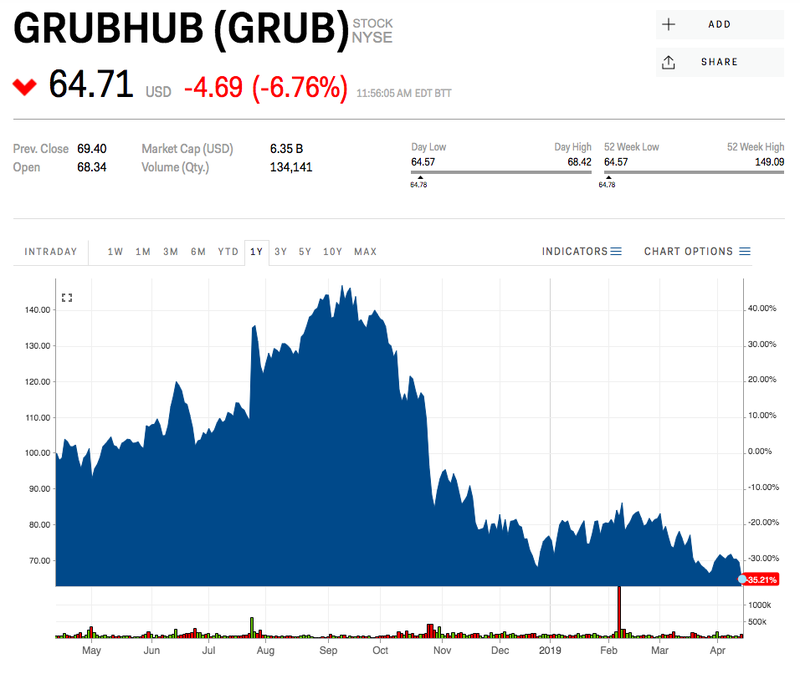 GrubHub’s stock has plunged more than 50% from its highs reached in October 2018 as disclosure around UberEats’ business has increased. According to the Uber’s S1 documents filed in preparation for an IPO, UberEats’ 2018 revenues reached $1.5 billion, growing 149% year-over-year. Uber regards the total market potential, or the amount that consumers spend on all home delivery, takeaway, and drive-through service globally, to be a staggering $795 billion. 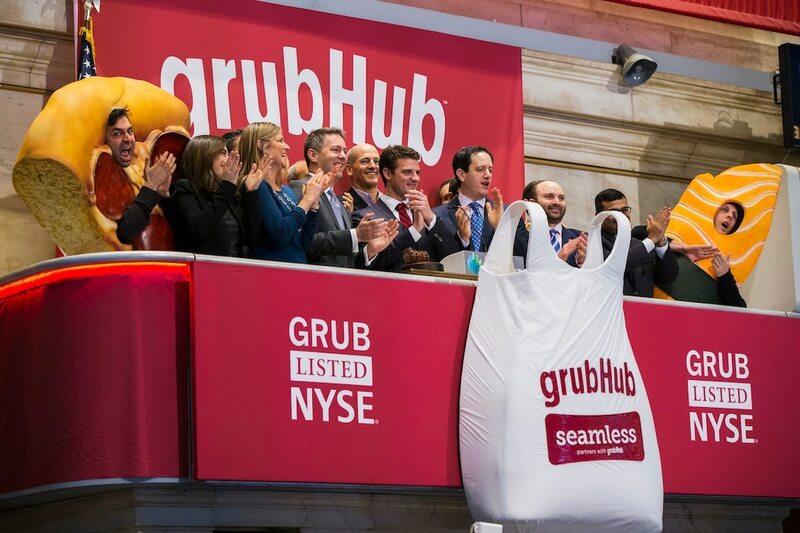 In a research report out Friday, Jeffries analyst Brent Thill maintained his “hold” rating on GrubHub. Thill has a price target of $80 — 23% above where shares were trading on Friday. Uber’s initial public offering, which could value the firm at up to $100 billion, is expected to come as early as next week. GrubHub was down more than 15% this year, including Friday’s loss.